Check out which popular predictive analytics applications from 2018 will see increased usage in the new year. Predictive analytics applications- By 2022, research firm MarketsandMarkets projects that the predictive analytics market will be worth 12.41 Billion USD, which makes sense considering that companies from every industry sector drive this market. Accordingly, predictive analytics applications grew in 2018 and will continue to expand in 2019. 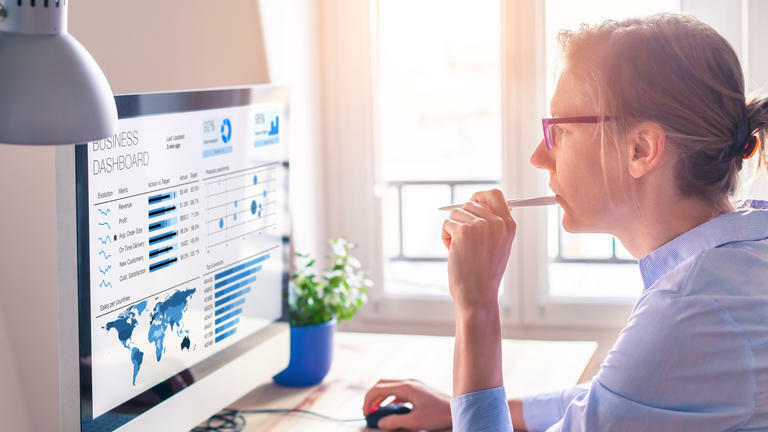 Below are five predictive analytics applications that established strong business cases in 2018 and are positioned for more growth in 2019. Supplier risk is one of the biggest challenges for companies with global supply chains. There are risks if a supplier goes out of business or gets acquired, and also unknown risks from your suppliers’ suppliers. You can also encounter risks from your most dependable suppliers if a natural disaster like an earthquake or a tsunami strikes. With global warming affecting more climatic conditions, the ability to predict weather along with earthquakes, political and economic unrest, and a myriad of other factors—drives the adoption of predictive analytics for the supply chain. In 2019, more companies will use customer predictive analytics to keep their salesforce informed. For example, say you’re a salesperson, and you think your largest customer is “in the bag” for the deal you’re about to make. Not so fast! Someone in customer service recently interacted with your best customer. The customer was very unhappy with the quality of that last shipment of widgets it ordered from you. Since you’re in sales you didn’t know anything about this problem order—until now—because IT hooked up your sales system with your customer service system, and you can see the whole picture. Furthermore, you receive a predictive analytics report that suddenly flags your best customer as “at risk.” You can quickly call the customer, hoping to smooth things out so that you can pave the way for a new order. Approximately one-third of the world’s food produced for human consumption is wasted each year. This is catastrophic when nearly 800 million people worldwide do not have enough to eat, and it is painful for food retailers who must operate on thin margins that food spoilage erodes. Enter predictive analytics that can now predict the “true” shelf life of produce, based not only on produce best-by dates and when produce was picked, but also on the time of day produce was picked, where produce was picked, and the types of environmental controls produce was stored and shipped in. Algorithms can weigh all of these factors and compute true shelf lives down to the level of single produce pallet. This assists growers and retailers to route foods with the shortest shelf lives to close markets and ship longer shelf life products to more distant markets. The cost savings are there—and more food chains and retailers will adopt the technology in 2019. Look for predictive and preemptive maintenance on equipment and physical assets to continue as killer apps in 2019. There is almost no price for maintaining uptime and the goodwill of customers who aren’t disappointed when there are delays. This is why predictive analytics, where equipment issues alerts when maintenance is needed, or where sensors on tram tracks can alert you when sections of track weaken, are so invaluable. In 2018, many companies used predictive human behavior analytics, and this number will grow in 2019. The cost of losing an employee can range from tens of thousands of dollars to 1.5-2.0x the employee’s annual salary. If companies can prevent employees from leaving, they can lower their recruiting and lost productivity costs. For example, a call center collected and analyzed data about how many calls were taken, how many calls were successfully resolved, how employees felt about working conditions, etc. Then that data was used to detect signs of employee dissatisfaction, and predict which employees were most likely to leave. The goal? To correct unfavorable employment conditions and encourage an employee to stay with the company. The post ​5 predictive analytics applications positioned to grow in 2019 appeared first on erpinnews.